About a week ago Pam commented on my Pisco Sour post wondering if artificial foamers are still around. 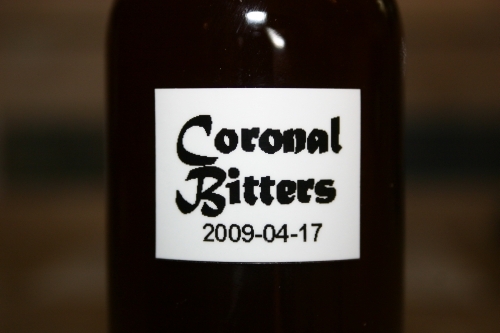 I remembered having seen some at the Boulder Liquor Mart last time I was there and figured it would be an entertaining experiment. 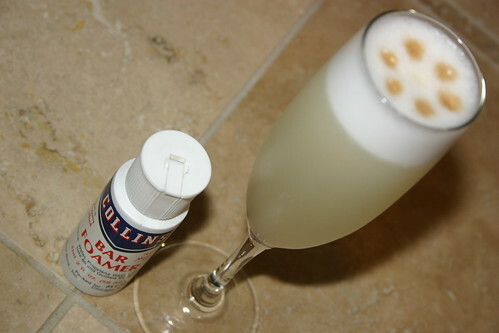 Since I’m always willing to put my well being second in line to a good experiment I picked up a bottle of Collin’s Bar Foamer and mixed up a Pisco Sour. The bottle provides no instructions as to how much to use so, not surprisingly, I winged it. I added about 12 drops to my favorite Pisco Sour recipe and shook for a solid 30 seconds. The resulting foam was actually pretty impressive. There wasn’t as much as there would have been with a 1/2 egg white, but I think that could be remedied with a few more drops. The foam is a little less viscous than that created by egg white and the mouth feel of the cocktail isn’t as silky either. The foamer didn’t add a noticeable flavor, which was a huge plus. Basically the bar foamer provides just that, foam, nothing else. I think if you’re worried about using eggs or are looking for a quick alternative then this option is certainly a viable one. Know that the resulting cocktail won’t be as good as if you were to use egg white it will still be tasty. This was a great experiment. Throw some more my way. 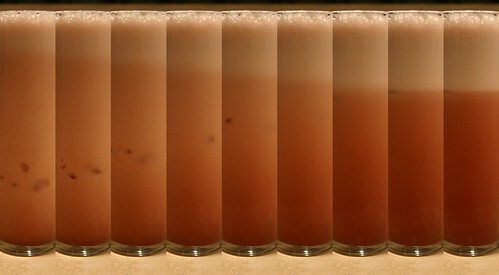 So, last night I noticed something really interesting when pouring one of my sample Singapore Slings. I mixed up the cocktail per the recipe and, although this might lose my cocktail nerd card (again), I poured the entire contents of the tin into my collins glass, ice and all. Then I noticed something truly intriguing. The ice was at the bottom of the glass, under the cocktail. Slowly, over the course of about 3-4 minutes the air in the cocktail finally bubbled out and the ice rose to the top. Another interesting note followed that. I added a couple cubes more ice to the drink and found that the foam was so thick that the ice wouldn’t drop down in to the cocktail. Now, I can offer a bit of explanation for the first bit of weirdness. It’s a simple matter of density. Since there is so much air in the drink in the way of tiny bubbles the cocktail is actually less dense than the ice and therefore the ice sinks. Now to the question of why are there so many bubbles in this cocktail at all…I have no idea. I can only speculate that it’s due in large part to the pineapple juice. Anyone have a better or more complete explanation? We all know the iconic phrase uttered by Bond each time he orders his, now traditional, Vodka Martini. Some of us even have friends who have ordered the drink using the phrase (yes, there was laughing, at said friend). You see Bond always wants his cocktail “shaken, not stirred”. But why? This request goes against all things right and proper in the cocktail chilling world. One never shakes a cocktail made completely with clear spirits. Again, I must ask why. I’ve heard a few answers. First, shaking introduces much more ice crystals to the drink which do two things. One, they cloud the drink (which is readily apparent in the image above) and two, they dilute the drink (which is also noticeable). Second, shaking chills the drink far more than stirring, more about that in a bit. Third, and I’d say most interesting, shaking introduces more ice (and thus more water) and therefore fundamentally changes the cocktail. Cocktail recipes are usually tuned for the technique when they’re developed. A clear drink, such as the Martini is developed with the knowledge that it will be stirred and as such the ingredients are added in sufficient quantities to balance this. The results really amazed me. First the temperatures. 30 seconds of shaking produced 26F gin where 30 seconds of stirring only produced 46F. 20 degrees is a huge difference, not just in the flavor of the cocktail but also in how long it will remain pleasantly cool while sipping. Second was the clouding. Not much I can say here. It’s quite clear (pun fully intended) from the picture how much additional ice and air was introduced by the shaking process. Finally, the additional volume really floored me. 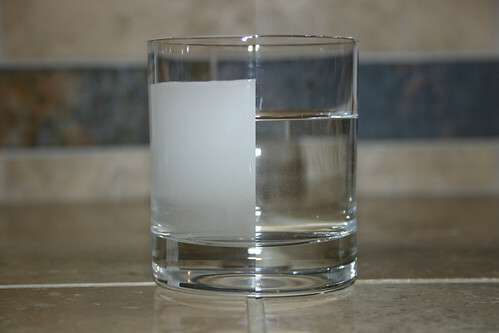 The shaken cocktail appears to have gained as much as 1 oz of water and air. I can’t say for certain how much of each is present, but I’d guess nearly 50% is air. Baffled by the not-so-low temp of the stirred cocktail I executed one final test, stirring for 60 seconds. This brought the gin down to 32F which is in the same range as the shaken cocktail, but it still remained crystal clear. However, it did melt more ice and therefore increased in volume more than the 30 second stir. I’d say about on par with the shake. So, some interesting findings from this one. It seems to me that one should certainly stick with the general rule of stirring drinks composed exclusively of clear spirits. If for no other reason than the visual appeal of the final product. While shaking for 30 seconds produced a much colder cocktail I think going forward I’ll be making sure to stir my drinks for at least 60 seconds to get them down to temperature and to melt some additional ice. Water, although not explicitely stated, is a key ingredient in all cocktail recipes, you know. One final note. Shaking a metal shaker tin will bring your hand to a new level of cold. In my case actually slightly freezing it to the tin. I have a much deeper level of respect for those who shake tins all night long. I know not how you deal, but I am awed. Pimm’s is certainly a unique liquor and I can imagine a lot of you are not interested in rushing out to buy a bottle simply to make this cocktail. 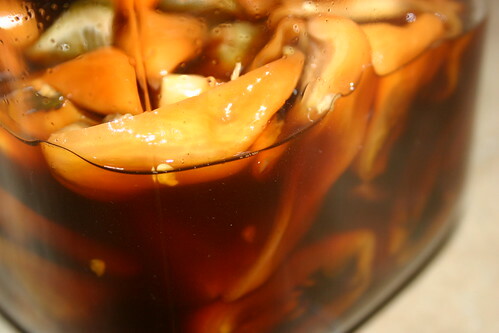 Well fear not, there is a simple, and cheap solution; make up a batch of Faux Pimm’s. I found this recipe while researching Pimm’s and decided to give it a go. In the pictures below the real Pimm’s No. 1 is on the left. 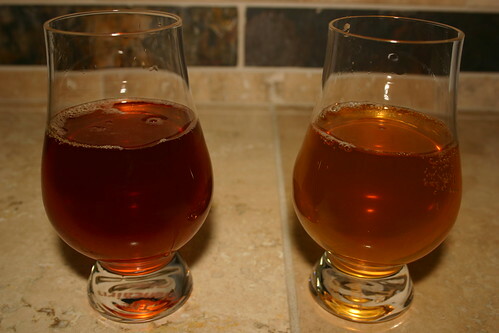 On first taste the Faux Pimm’s is good, but it’s not Pimm’s. The faux is sweeter and has a more winey flavor from the vermouth. The real stuff has a more earthy quality and the flavors are better blended. I will say that this recipe is a reasonable approximation of Pimm’s No. 1 and will certainly give you an idea of what the real stuff is like. Next I added some Reed’s Premium Ginger Beer and sampled again. Neither of them were able to shine through against this ginger ale. Simply too much going on there, more on that later. Since that experiment didn’t go well I tried another mixer I’ve been playing with this week, San Pelegrino Limonata. This was a better choice to show off the Pimm’s. The faux Pimm’s still came through a bit on the sweet side for me. 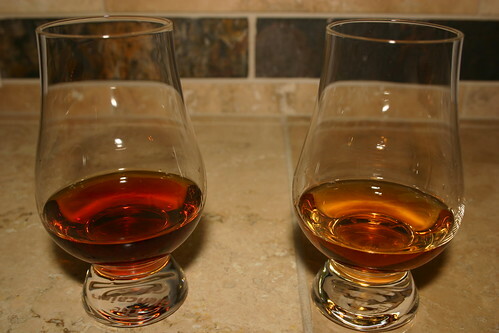 Both were good in the this mixture. If you decide to go with faux Pimm’s the best explanation I can give is that you’ll be losing the characteristic funkiness of this spirit.